A November late afternoon on Islay at Loch Indaal. A handful of Barnacle Geese scattered along the shore. 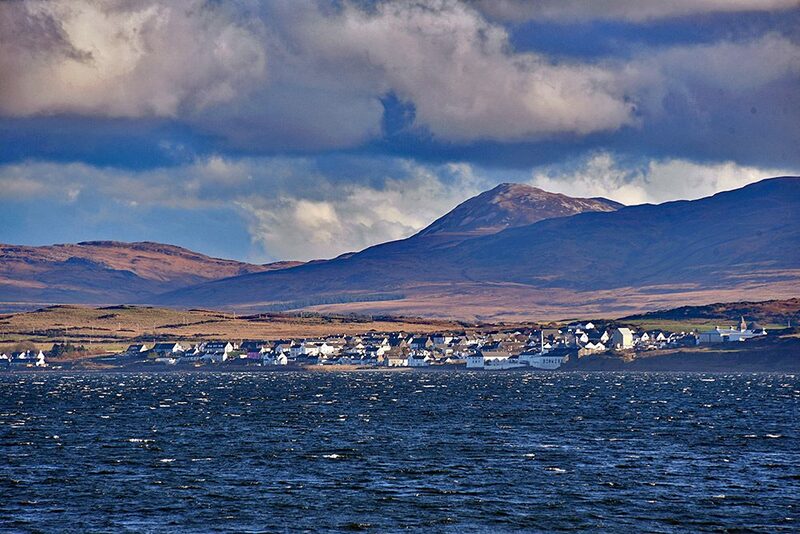 Bowmore with Bowmore distillery on the shore on the right nicely visible across the loch. A view across Loch Indaal from near Bridgend on a hazy sunny November afternoon. 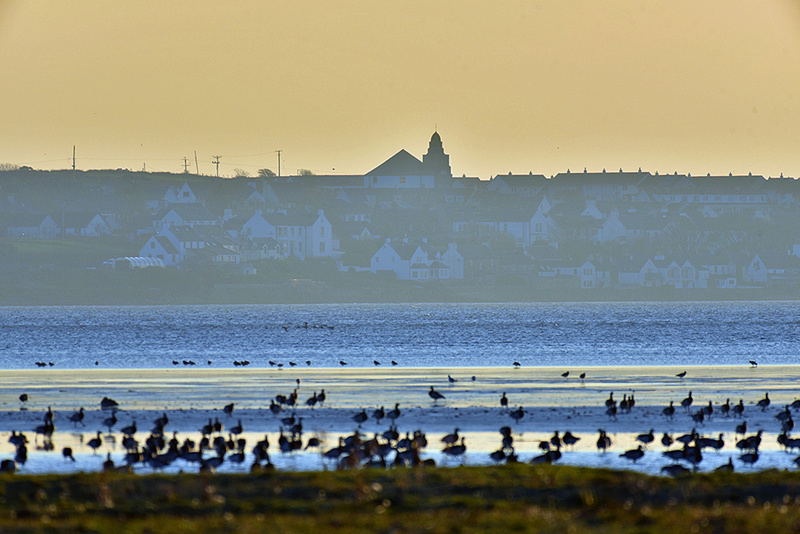 Bowmore with the Round Church on the other side of the loch, some Barnacle Geese roosting along the shore in the foreground.